In the chapter entitled iOS 5 iPhone Database Implementation using SQLite the basic concepts of integrating a SQLite based database into iOS 5 iPhone-based applications were discussed. In this chapter we will put this knowledge to use by creating a simple example application that demonstrates SQLite based database implementation and management on the iPhone. 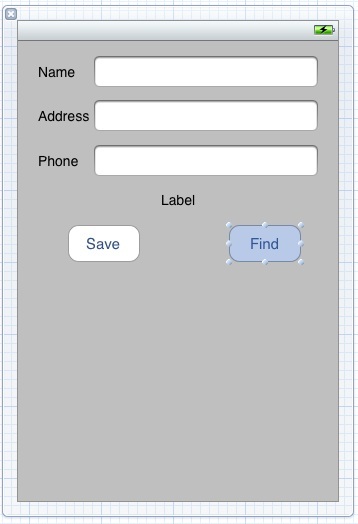 The focus of this chapter is the creation of a somewhat rudimentary iPhone iOS application that is designed to store contact information (names, addresses and telephone numbers) in a SQLite database. In addition to data storage, a feature will also be implemented to allow the user to search the database for the address and phone number of a specified contact name. Some knowledge of SQL and SQLite is assumed throughout the course of this tutorial. Those readers unfamiliar with these technologies in the context of iPhone application development are encouraged to first read the previous chapter before proceeding. Begin by launching the Xcode environment and creating a new iOS iPhone Single View Application project with a name and class prefix of database. In this chapter we have looked at the basics of storing data on an iPhone using the SQLite database environment. For developers unfamiliar with SQL and reluctant to learn it, an alternative method for storing data in a database involves the use of the Core Data framework. 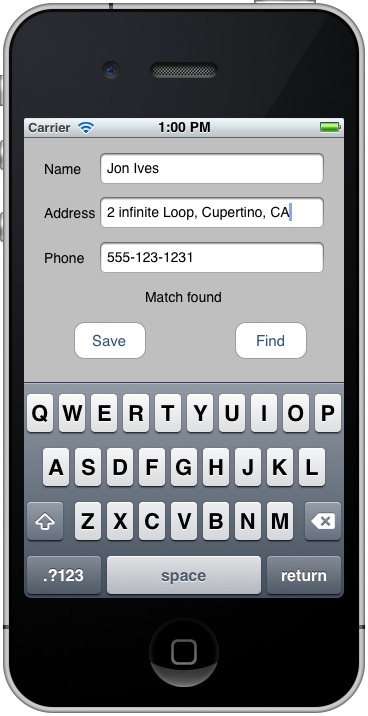 This topic will be covered in detail in the next chapter entitled Working with iOS 5 iPhone Databases using Core Data.